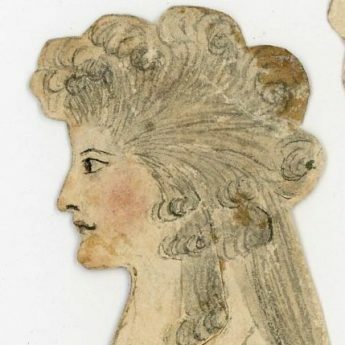 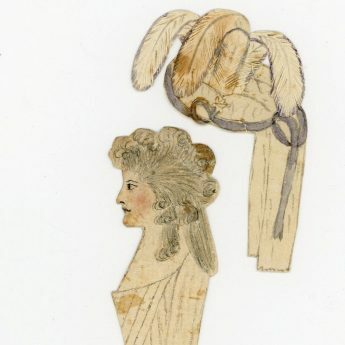 This eighteenth century paper doll is hand-made and has her hair arranged in stiff curls with a loop of hair at the back known as a ‘banging chignon’. 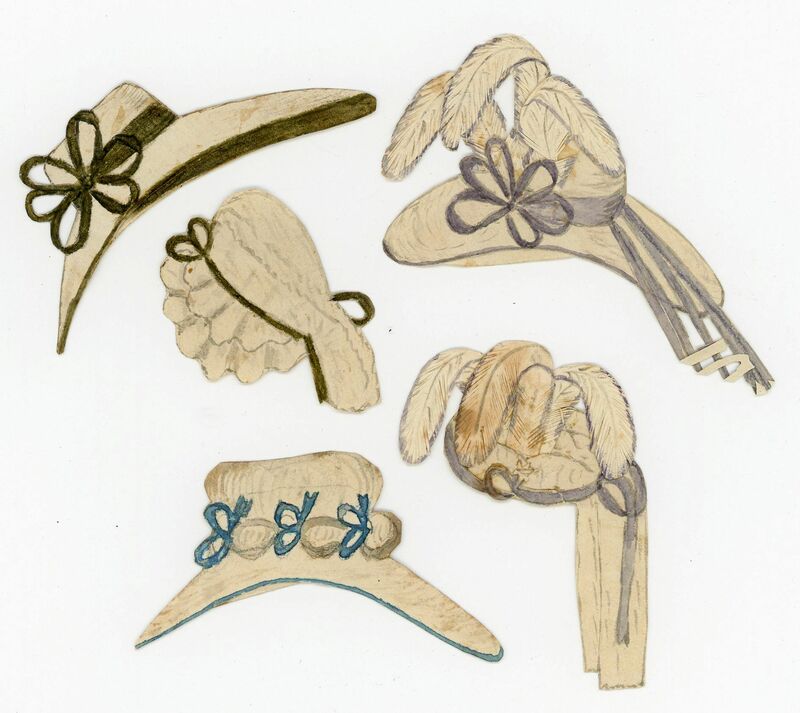 She comes with a wardrobe of three hand-painted dresses all with bustles and five stylish hats two complete with resplendent feathers. 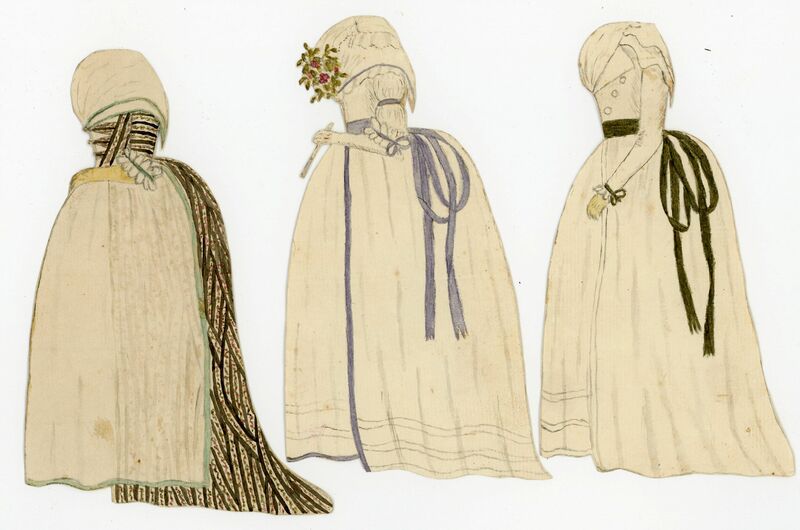 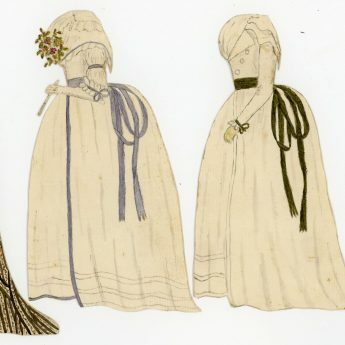 The dresses all have tabs affixed to the reverse and the hats have envelope style attachments to enable them to be slipped over the doll’s head. 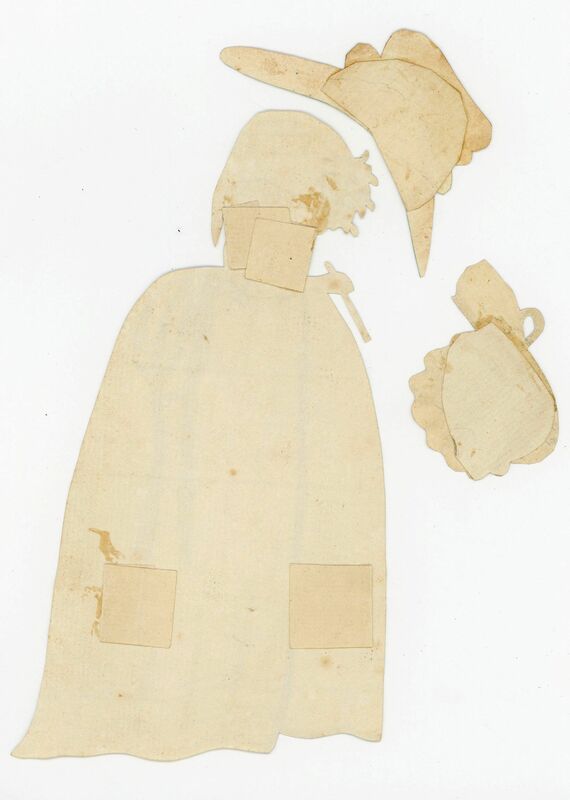 The doll and her wardrobe was discovered within a paper wrapping inside an old metal box. 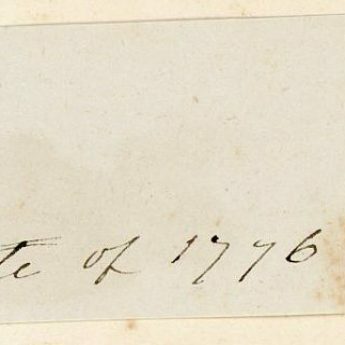 A hand-written label attached to the wrapping reads ‘From Mrs Panchen date of 1776’. 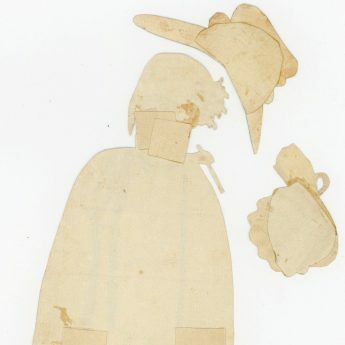 The lucky recipient was a young lady of the Lathbury Family of Suffolk though sadly her exact identity remains unknown. 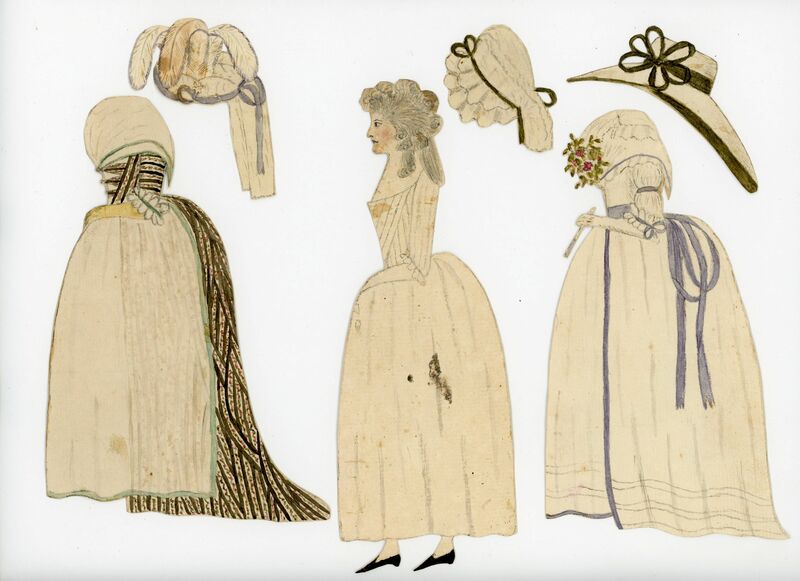 Very good overall condition but with a little age browning as would be expected. 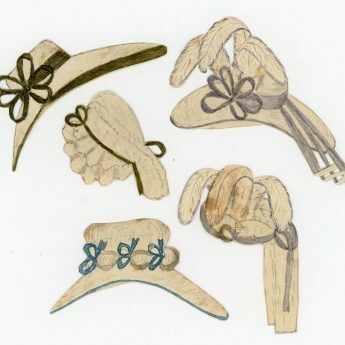 There is a small closed tear to the top of the doll’s head, a mark to her chemise and a loose (though not detached) feather to one of the hats.